Welcome to Jonesport Elementary School! 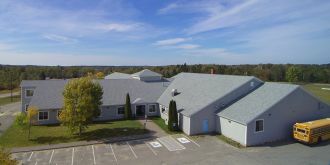 Our school is located on a scenic 11-mile peninsula in Downeast Maine and has about 145 students enrolled. Our town is the home of a large lobster-fishing fleet and our community offers spectacular views of Maine's coast and islands.